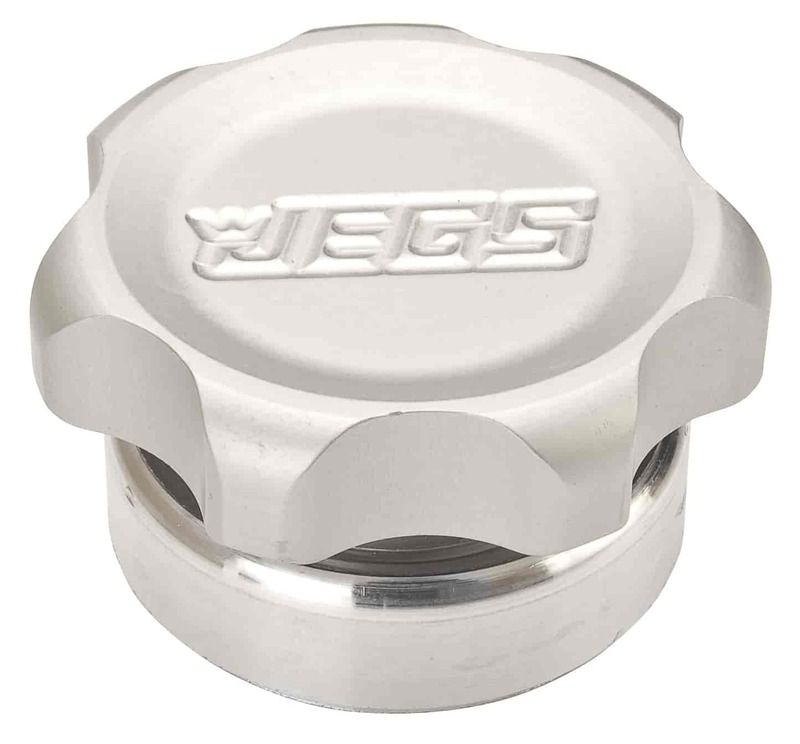 Steeda 070-2075 - Billet Weld-in Oil Cap kit Bung ID: 1.235"
The JEGS filler cap is not your ordinary style cap that had been run through a screw machine with just a knurled edge. We start with 2-1/2" 6061 aluminum bar stock, turn the basic shape with 1-1/2"-12 thread in a CNC lathe, then we machine the hand grips and the JEGS logo in a CNC mill. Next we send it out for a clear anodized finish and add an o-ring seal. The fitting is also CNC machined from a generous block of aluminum or steel creating a heavy duty mount. These can be used as a rear end filler and an inspection port, overflow tank cap, valve cover cap, dry sump tank filler cap or whatever your fabricating mind can think of. 60135 is rated 5.0 out of 5 by 1. What is the OD of the weld bung?